For this PCS, it took us a leisurely three days to find a house to buy. That’s 33% more time than it took us the last two times to find a home to buy, but we thought we’d take our time and not rush the process this time. If you’re a civilian family reading this, then maybe what I just said sounds crazy to you! After all, the average civilian family takes eleven weeks to buy a home, according to the National Association of Realtors. 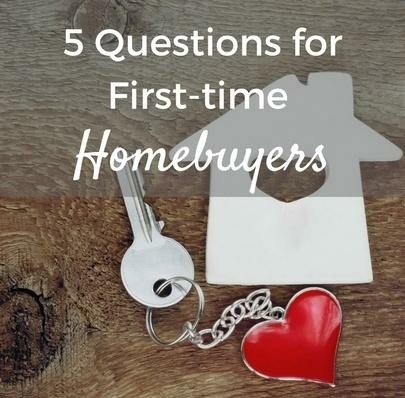 This seemingly short period of time of eleven weeks inspired a mini media frenzy when statistics showed that the amount of time it took the average home buyer to select a home to buy had dropped by two entire weeks over the last few years. Eleven weeks is long by military standards, though. Service members don’t even get eleven days for house hunting! They’d have already wasted almost 7% of their time on station simply looking for a house. Military families typically spend three years in a house, so using up 11 of 156 weeks to find the home in the first place just cuts into time to decorate and set up the home; they still need to budget time in there to reverse the process and prepare for either selling or renting. They’d have to spend an unnecessarily long period stuck in temporary lodging facilities (TLF) on base. Who wants to do that to their family if they don't have to? While civilian families may have the luxury of returning to their own comfy beds after a long day of home touring, military families go back to a crammed hotel room filled with kids, dogs, and an array of bags, boxes, and moving paperwork. If nothing else, this set-up provides great motivation for expediting the house hunting process! While three days may sound a little crazy, keep in mind that I started the house hunting process long before I ever set foot in our new state by crowdsourcing where I should live. So, while I may have actually looked at houses in Texas for only three days, my actual house hunting process was a little closer to that of a typical civilian families. I researched homes using MilitaryByOwner for many weeks in advance of our three-day house hunting tour. I also researched neighborhoods using Military Town Advisor to help identify areas that are military family friendly. I inquired on local spouse Facebook pages, scoured blogs, and checked out crime data maps to find safe areas to live. Keep in mind that neighborhood safety is a matter that your real estate agent cannot legally address with you under the Fair Housing Act, so it’s critical to do your own legwork and identify the areas where your family would be most comfortable yourself! Once I had identified areas, I narrowed down the houses. Like 45% of other home buyers last year, I placed a premium on homes that afforded me a virtual tour of the property. Knowing that I’d have very little time to tour properties, and assuming a 30-minute tour per home, I wanted a short list of no more than 20 houses to look at during our three days. That meant that if a home lacked good photos of the kitchen, the bathrooms, and the backyard, those houses automatically cut themselves from my list. As the general layout of the house was critical for our current needs, either a phenomenal description or a virtual tour helped our final homes make the cut. I can’t overemphasize the importance of a good advertisement when selling your home. Check out our post on How Virtual Tours Help Sell Military Homes to get a better sense of just how critical video tours are for military families on a time crunch. After identifying homes, I did a little more research on current mortgage rates and got a letter of pre-approval from our lender. Only then did we contact a real estate agent to help set up showings for houses we had identified. If you’re starting your home buying research, check out MilitaryByOwner’s partner Veterans United to get your pre-qualification letter in seconds! Make sure to check out our business listings to find a real estate agent in your area who has experience working with military families and who understands our time crunch when home shopping.